If you have noticed your Wi-Fi struggling recently, you may have cause to blame Google. Reports suggest that Google devices with the Cast feature, such as Google Home and Chromecast, can mess with your wireless connection. Google is working on a solution, but there’s no instant fix. Most people reading this will have the luxury of a permanent internet connection in their home. It’s great when it works, but when it goes down it’s annoying and frustrating in equal measure. And we now know another possible reason why your Wi-Fi connection may be faltering 4 Reasons Why Your Wi-Fi Is So Slow (And How to Fix Them) 4 Reasons Why Your Wi-Fi Is So Slow (And How to Fix Them) Suffering from slow Wi-Fi? These four issues can slow down your network. Here's how to resolve them to get speedy again. Read More at times. Essentially, Google devices offering the Cast feature may be temporarily messing with your internet connection when awakened from their Sleep state. As reported by Android Police, this was first noticed by people using the Google Home Max and the TP-Link Archer C7 router. However, the Chromecast and a range of other routers including ones by ASUS, Linksys, Netgear, and Synology are also being affected. And while TP-Link has released new firmware for the Archer C7 which eradicates the problem, users of the other routers are still being affected. #Google #Chromecast One of the best gadget I have bought till now.. According to TP-Link, the cause of this problem is the aforementioned Cast feature, which sends “MDNS multicast discovery packets” in order to maintain a live connection. While these are normally sent every 20 seconds, when a device is awakened from Sleep a large amount of packets can be sent in a very short space of time. And this can interrupt your router’s ability to function. Google has stated, “We’re aware that a small number of users are having issues and our team is working quickly to share a solution.” In the meantime, you can either disconnect your Google Cast device, reboot your router 10 Ways to Improve the Speed of Your Current Router 10 Ways to Improve the Speed of Your Current Router Here are a few simple router tweaks that could make a world of difference on your home Wi-Fi network. Read More , or download your router’s latest firmware update (if there is one). Do you own a Google Home or Google Chromecast? If so, have you noticed it messing with your Wi-Fi? Even if you haven’t noticed a problem, will you be installing the firmware update for your router at your earliest convenience? Please let us know in the comments below! Explore more about: Chromecast, Google, Google Home, Wi-Fi. 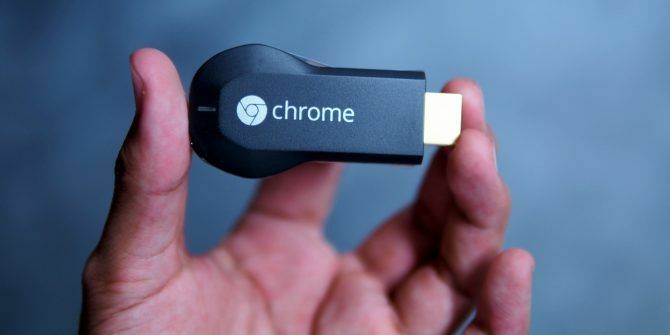 Is this limited to Google Chromecast? or does this behavior extend to devices like the Roku also?